Current VEST fellows are participating in either the 4-Year Program or 2-Year Program. Learn more about VEST Alumni. The VEST 4-Year Program has graduate students from the Curry School of Education Ph.D programs of either Education Policy or Educational Psychology-Applied Development Sciences. The VEST 2-year Program has graduate students later in their academic program from U.Va. 's Department of Economics, Psychology Department, and/or Sociology Department. The VEST program is committed to creating a community of educational researchers. We value mentorship and support our fellows in their professional development. Our faculty and students met socially a couple times a year to celebrate the success of the program. Our students also regularly support each other socially. Our fellows also work together on projects and in classes; here is a video a group of students and faculty created during the SPR Cup competition in 2014. 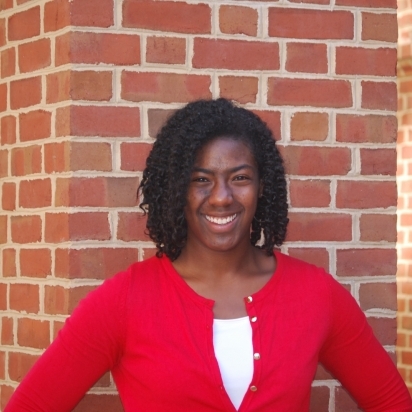 Jessalynn James is a pre-doctoral fellow in Education Policy at the Curry School of Education. Before enrolling at UVA, she served as the program manager for assessment reporting and data management at the Council for Aid to Education in New York City, where she oversaw all assessment-related data and the development of institution and student score reports for the Collegiate Learning Assessment and its middle and high school equivalent, the College and Work Readiness Assessment. She also managed the creation and implementation of longitudinal surveys to track student outcomes following graduation from high school and college. Jessalynn also served for several semesters as an adjunct at Barnard College, co-teaching an introductory course in statistics for psychology. Jessalynn has a B.S. from the Steinhardt School of Education at New York University, and an M.P.A. with a concentration in policy analysis and evaluation from the Baruch College School of Public Affairs with the City University of New York. Preston Magouirk is a Ph.D student in Education Policy. He earned a B.A. in History from Tulane University in 2011 and an M.P.P. from Vanderbilt University in 2015. A former elementary school teacher in South Louisiana, Preston is interested in examining questions of equity in early educational experiences for low-income students. Kimalee Cottrell Dickerson is an IES pre-doctoral fellow in the Educational Psychology: Applied Developmental Science program. She earned a B.A. in Psychology and Sociology from the University of Virginia and a J.D. from the University of North Carolina Chapel Hill. 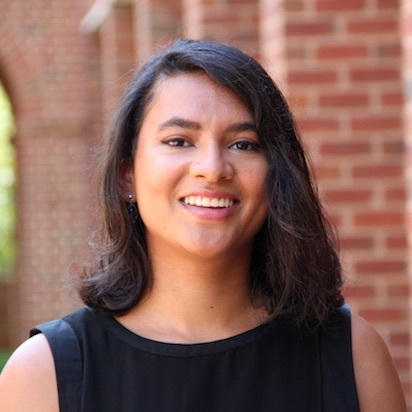 Having worked as an attorney for several years before returning to UVA, Kimalee approaches issues of equity from the perspective of understanding and addressing structural and historical barriers. Her work examines diversity and equity in educational contexts, with a focus on institutional policies and practices and their influence on K-20 educational equity, access and opportunity. She is particularly interested in institutional factors, such as racial history, curriculum, and recruitment, that influence racial climate on college campuses. She has contributed to multiple projects related to diversity and equity, including examining Black college students’ experiences with discrimination, how higher education journals discuss institutional racism, and how an undergraduate program educates students for social justice. She also works with Dr. Joanna Lee Williams on a project exploring the benefits of racial and ethnic diversity in middle schools and the barriers to realizing those benefits. Cathy Corbin is an IES pre-doctoral fellow in the Educational Psychology and Applied Developmental Sciences program. While completing her undergraduate studies in psychology at UC Santa Barbara, Cathy worked in an after-school program serving low-income Latinx students. Igniting her interest in education, she traveled east to earn an M.A. in Education and Social Policy from NYU. Prior to beginning doctoral studies, Cathy worked at MDRC—a non-profit social policy research firm. There, she gained research experience working on evaluations of response to intervention for early grades reading, a transition to high school intervention, and a multi-tiered systems of support for behavior intervention. Cathy is currently working with Dr. Jason Downer and Dr. Erik Ruzek on research investigating student perceptions of classroom interactions. Specifically, she is interested in what students perceive and why, how to measure student perceptions, the variability in how students within the same classroom perceive classroom interactions, how that variability is related to student social-emotional and academic outcomes, and how student perceptions align or deviate from teacher reported or observational measures of the classroom. Central to this work is what unique information is gleaned from students, as opposed to teachers or observational measures, that might help us to better understand classrooms as dynamic environments. Lauren Mims is an Institute of Education Sciences pre-doctoral fellow in the Educational Psychology: Applied Developmental Science program. Her work investigates how social environments influence how Black girls learn, interact, and define their identities in early adolescence. She is particularly interested in how Black girls define their own experiences as "situated knowers" of their own learning and development. By gaining a deeper understanding of how Black girls develop and navigate in social life, Lauren aims to construct policies and practices and forge new theoretical frameworks capable of better understanding and addressing the challenges faced by Black girls, particularly in systems of education. She is also working with Dr. Joanna Lee Williams on a project exploring the benefits of racial and ethnic diversity in schools, what gets in the way of realizing those benefits – and what we can all do to move forward. Lauren was formerly Assistant Director of the White House Initiative on Educational Excellence for African Americans (WHIEEAA) during the Obama Administration. Lauren obtained a B.A. in English and Psychology from the University of Virginia in 2012 and a M.A. in Child Development from Tufts University in 2014. Francisca is a graduate student in the EP-ADS PhD program at Curry School of Education. She did her undergraduate studies in Sociology at Pontificia Universidad Católica de Chile and pursued a Master in Public Policy at Universidad Diego Portales in Chile. Prior to coming to the U.S. and joining UVa, she worked as a researcher in the Center for Comparative Policy in Education at Universidad Diego Portales in Chile, and as an Instructor in the Faculty of Education at the same University. Francisca was awarded with a scholarship to pursue studies abroad, from the Chilean National Commission for Scientific and Technological Research and also from the Fulbright Program. Her research interests are classroom interactions, teacher training and teacher professional development, specially in Early Childhood Education. At UVA she will be working with Jennifer LoCasale Crouch. Pilar is a graduate student in the ED-ADS doctoral program at Curry School of Education. She did her undergraduate studies in Psychology and her master in Educational Psychology, both at Pontificia Universidad Católica de Chile. 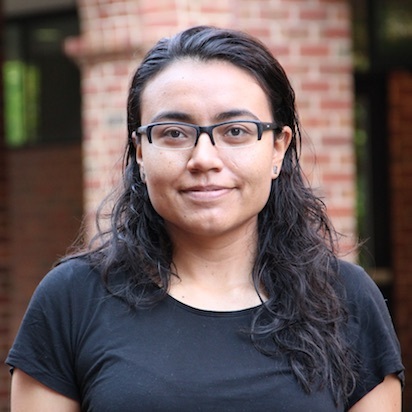 Prior coming to the U.S. and joining UVa, she worked as a researcher in the Ministry of Education and as a research assistant on teacher education in the Center of Study for Policies and Practices in Education (CEPPE). She also assisted a research team on social and emotional development in the Department of Psychology at PUC. Pilar was awarded with a scholarship to pursue studies abroad, from the Chilean National Commission for Scientific and Technological Research. Justin B. Doromal is an IES pre-doctoral fellow in the Educational Policy Studies program. He holds a Master of Public Policy and a Master of Education from the University of Virginia, as well a BA in Mathematics from the University of South Florida. His research broadly examines issues of access to high-quality early education programs in the United States, and he is especially interested in understanding how macro-level policies for improving the quality of early education settings can effectively reach children most likely to benefit from rich, early learning opportunities. Justin's ongoing work explores the role economic and political contexts such as recession and market tensions play in promoting or inhibiting states’ best efforts to make high-quality early education more available to children and families. 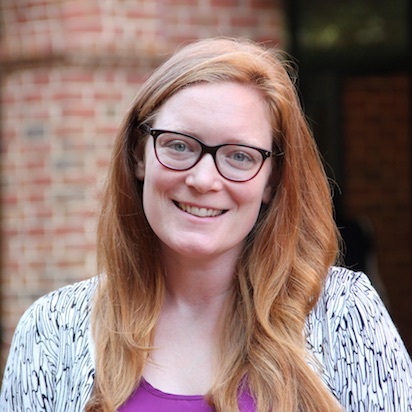 Emily Wiseman is an IES pre-doctoral fellow in the Education Policy program at the Curry School of Education. She graduated with a B.A. in Political Science from Bryn Mawr College and earned her M.S.Ed. in Urban Education from the University of Pennsylvania as well as her MPP from the Batten School of Leadership and Public Policy at UVA. She was a classroom teacher at a turnaround charter school in Philadelphia and then at a KIPP school in Washington, D.C., before working as a K-8 Reading Specialist for D.C. Public Schools. Her primary area of interest is teacher quality, and her research lies at the intersection of policy and practice around teachers and teaching. Kylie Anglin is an IES pre-doctoral fellow in the Education Policy program at the Curry School of Education. She earned her M.P.P from the Frank Batten School of Leadership and Public Policy in May 2018. Originally from Texas, Kylie holds an undergraduate degree in political science from Southwestern University and a post-baccalaureate degree in mathematics from Northwestern University. Before joining Ed Policy Works, Kylie worked as a 7th-grade teacher in rural Arkansas, and as an evaluator for an after-school program in Chicago. Her current research interests involve the impact of educational deregulation on district behavior, student outcomes, and equity. She is also passionate about evaluating and improving the methodologies we use to determine the efficacy of educational policies and initiatives. Ann Partee is an Institute of Education Sciences pre-doctoral fellow in the Educational Psychology: Applied Developmental Science program at the Curry School of Education. She earned a BA in English and Government from the University of Texas at Austin and an EdM from the Harvard Graduate School of Education. Before coming to UVa, Ann worked as a Research Assistant in the Ecological Approaches to Social Emotional Learning lab at HGSE under the direction of Dr. Stephanie Jones and as a first grade teacher. Ann’s research interests center on understanding and improving the quality of children’s early learning experiences. She is currently working with Dr. Amanda Williford to pilot a comprehensive early childhood curriculum in Virginia. Tatiana Hill is an Institute of Education Sciences pre-doctoral fellow in the Educational Psychology-Applied Developmental Science program at the Curry School of Education. Tatiana received a Bachelor of Arts in Psychology and Spanish from Amherst College. Throughout her undergraduate career, she completed a series of studies in Cognitive and Personality Psychology as they pertain to memory, emotion recognition, and coping. Through nonprofit work, she incorporated her knowledge of cognition in a bilingual, multicultural context to explore how the linguistic development and learning processes of English Language Learners and immigrant students impact their school performance. Currently, she is working with Dr. Natalia Palacios and faculty from Youth-­Nex, the U.Va. Center to Promote Effective Youth Development. Through her research, Tatiana hopes to identify strategies for engaging with ELL children in the home and in school that highlight ELLs’ cognitive skills and diverse cultural backgrounds. Ashley Hunt is an IES pre-doctoral fellow in the Educational Psychology: Applied Developmental Science program. Broadly, Ashley is interested in classroom-based interventions and teacher practices that support social-emotional learning (SEL), the assessment of SEL skills in educational contexts, and the policy implications of widespread administration of SEL measures. She holds a BA in Psychology and Spanish from the University of Virginia, and a MA in Psychology with a concentration in Children, Families, and Cultures from Catholic University. Ashley is currently working with the Social Development Lab and her advisor, Dr. Sara Rimm-Kaufman, on the development and evaluation of Connect Science, a curriculum unit that simultaneously promotes SEL skills, academic achievement, and civic engagement. 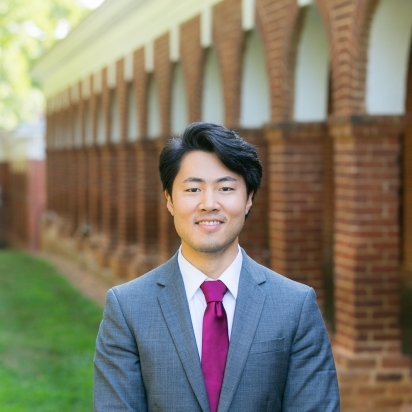 Brian Kim is a second-year IES pre-doctoral fellow completing the dual Education Policy Ph.D./MPP program with the Curry School of Education and the Frank Batten School of Leadership and Public Policy. He studied education from a variety of perspectives throughout his undergraduate degree, working with organizations like America Reads and Counts, Upward Bound, the George Mitchell Scholarship Research Institute, and Let's Get Ready, before graduating with a B.A. in English and Economics from Bowdoin College. Brian received his teaching certification in English and Social Studies after graduation and taught English at a public high school in southern Maine for three years, eventually serving on the school leadership team. During summers, he also worked as an instructor in Economic Game Theory for gifted and talented middle school students through Johns Hopkins University. 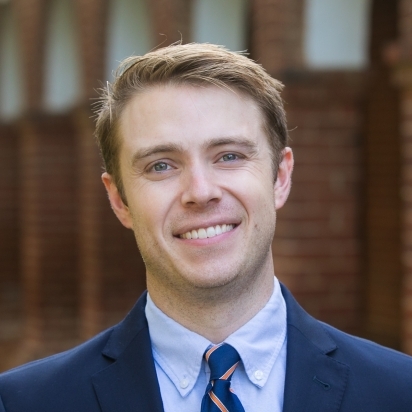 Brian's research interests primarily relate to teacher retention: how can we encourage skilled public school teachers to remain in the classroom as drivers of student learning and community-level change? He is also interested in teacher labor markets as a whole, applications of machine learning to education policy research, and behavioral nudges. 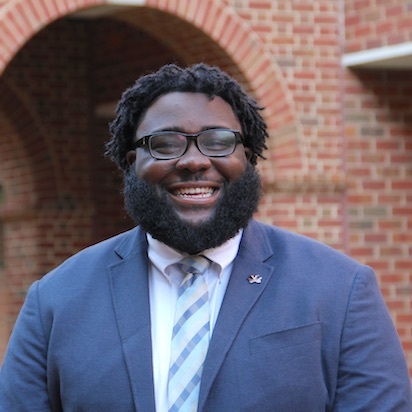 Walter Herring is a second year student in the dual MPP/PhD Education Policy program through the Curry School of Education and the Frank Batten School of Leadership and Public Policy. A native of Dallas, Texas, Walter earned his BA in Public Policy from Stanford University before returning to Dallas to teach Algebra 1 to 9th grade students through the Teach for America program. Prior to joining EdPolicyWorks, Walter worked as a program manager and data analyst for a non-profit organization in the San Francisco Bay Area devoted to preparing under-resourced middle and high school students for college. Walter’s research seeks to understand how student learning develops during the early elementary grades and what factors might contribute to their learning during these critical first years of school. 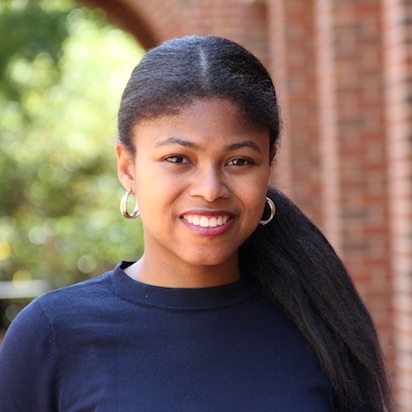 Miray Seward is a second-year Institute of Education Sciences pre-doctoral fellow in the Educational Psychology-Applied Developmental Science program at the Curry School of Education. Miray received her B.A. in psychology and human development from Duke University in 2014. 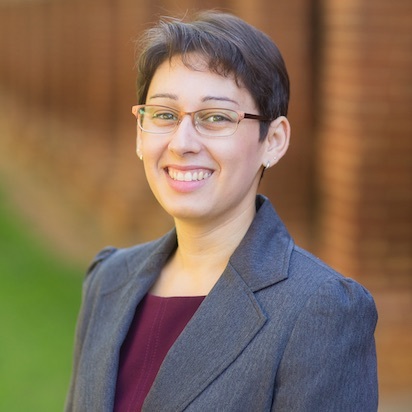 Prior to starting her doctoral studies, Miray spent a year as a project/research coordinator in the Motivate Lab and two years as a lab manager in the Language Development Lab and Wilbourn Infant Lab at Duke University. Currently, Miray’s research examines the experiences Black female student-athletes and how identity is developed in the context of athletics and academics. Karen Kehoe is an Institute of Education Sciences pre-doctoral fellow in the Educational Psychology: Applied Developmental Science program at the Curry School of Education. She earned a B.A. in American Studies and French from the University of Notre Dame and an Ed.M. in Language and Literacy from the Harvard University Graduate School of Education. Before coming to UVa, Karen worked as an elementary school and special needs classroom teacher, reading specialist, curriculum developer, and program coordinator in local government and non-profit settings. Karen’s research interests include acquisition of language and literacy skills and social-emotional development in early childhood and teacher professional development. She is passionate about work that supports the goals of economically-vulnerable children, families, and communities. Karen works with Dr. Bridget Hamre at the Center for the Advanced Study of Teaching and Learning. 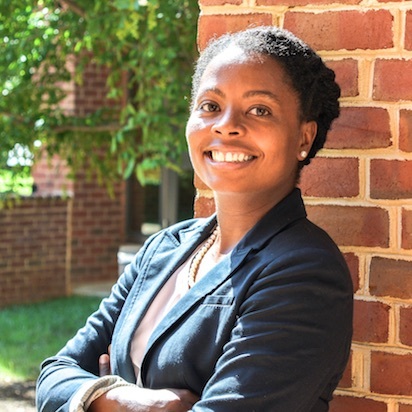 Shoronda Matthews is an Institute of Education Sciences pre-doctoral fellow in the Educational Psychology and Applied Developmental Science Doctoral Program at the Curry School of Education. She received her B.S. in Neuroscience and Psychology from the University of Scranton and her M.A. in General Psychology from Adelphi University. During her undergrad years, she worked at a clinic where she helped to set up and run their Electronic Medical Record (EMR) system. 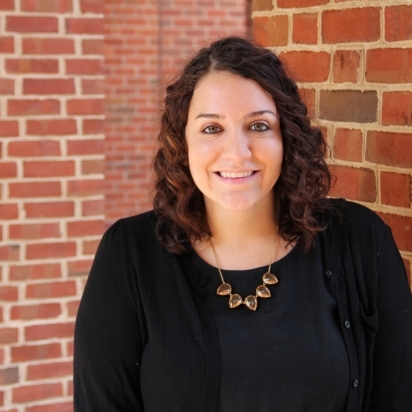 Prior to coming to UVA, she was a Research Assistant in the Cognitive Development Lab and the Child and Adolescent Research (CARE) Lab at Adelphi University. She interested in the topic of digital and physical learning differences in young children. She will be working with Dr. Jamie Jirout in the Education and Learning Lab. 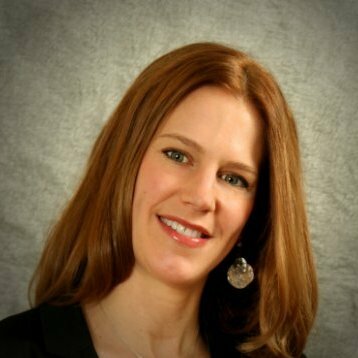 Melissa Lucas is an Institute of Education Sciences pre-doctoral affiliate fellow in the Educational Psychology-Applied Developmental Science program at the Curry School of Education. Melissa received a B.S. in Psychology and Sociology from Virginia Commonwealth University. 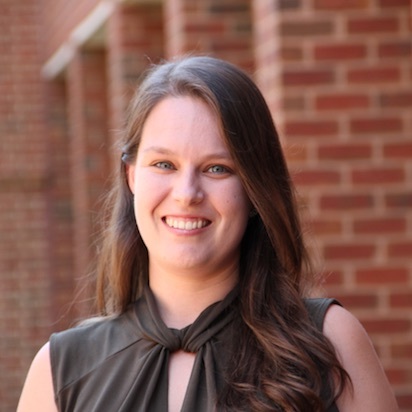 During her undergraduate career and prior to starting her doctoral studies, Melissa worked three years as a Research Assistant with the Clark-Hill Institute for Positive Youth Development at VCU. Currently, she is working with Dr. Natalia Palacios. Melissa is interested in supporting and encouraging the widespread access and delivery of academic and language services, and strategies for assisting low-income, immigrant populations, to mitigate barriers and promote Latinx children’s school motivation and readiness skills. She aims to understand how parents, teachers, and mentors influence Latinx student’s language and reading development, all the while examining the culturally-relevant differences within the Latinx community. Mayaris is a pre-doctoral affiliate fellow in the Educational Psychology and Applied Developmental Sciences program. Mayaris obtained a B.A. and a MSc in Economics, both at Universidad del Rosario in Colombia. 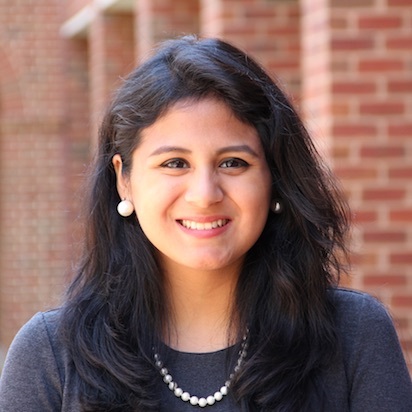 Prior to join UVA, she worked as a research fellow in the Social Sector at the Inter-American Development Bank in Washington, DC, and as a consultant in the Ministry of Labor in Colombia. From those job experiences, she gained insights into the design and implementation of public policies aimed at young people and children. Mayaris will be working with Dr. Jennifer LoCasale Crouch. She is interested in the design of better education policies for early childhood from a comprehensive point of view that addresses the development of children as the result of experiences that in turn are determined by a large number of factors. Edward Scott Jr. is an Institute of Education Sciences pre-doctoral affiliate fellow in Curry’s Educational Psychology and Applied Developmental Science program. Prior to doctoral study, Edward served students and families as a social worker in an urban school district, facilitating the expansion of trauma-informed care practices and school culture improvement initiatives. His professional background includes clinical mental health services, youth program development, and management consulting. He earned a B.A. in psychology from William Jewell College, an MSW in clinical social work from the University of Pennsylvania, and an MA in organizational development and leadership from the Rockhurst University Helzberg School of Management. Edward is interested in adolescent leadership identity and sociopolitical development research. Under the mentorship of Drs. Nancy Deutsch and Chauncey Smith, Edward will begin exploring the relational and organizational contexts that effectively promote youth leadership, activism, civic engagement, and psycho-social wellbeing. Arielle Boguslav is an IES pre-doctoral fellow and is currently completing the dual Ph.D./MPP program with the Curry School of Education and the Frank Batten School of Leadership and Public Policy. Originally from Massachusetts, she ventured “across the pond” to earn her BA in Archaeology and Anthropology at Cambridge University. After graduation Arielle worked in innovation consulting before shifting to the field of education. Her six years of teaching experience include middle school English Language Arts in a Title I charter school and teaching English as a foreign language to adults in Russia. Arielle’s research interests primarily relate to teacher professional development and the application of behavioral insights to policy implementation. Sierra Eisen is an Institute for Education Sciences predoctoral affiliate fellow in the Developmental Psychology doctoral program in the Department of Psychology. She received her BA in Psychology from the University of California, Berkeley. Her research focuses on how young children learn from touchscreen technology and educational apps. As a VEST fellow, Sierra is working with Jamie Jirout and Angeline Lillard examining parent-child interactions during digital and physical spatial play and links to children's early spatial and math abilities. Victoria is currently an Institute for Education Sciences predoctoral affiliate fellow in the Community Psychology program in the Department of Psychology. Victoria received her B.A. in Psychology from New York University, an M.A. in Counseling Psychology from Northwestern University, and her M.A. in Psychology from the University of Virginia. Her research centers on the study of prevention and intervention programming seeking to promote supportive contexts, particularly in schools, that foster positive youth development and prevent gender based violence. As a VEST fellow, Victoria is working with Nancy Deutsch on the Study of Important Youth-Adult Relationships (YAR Study), as well as the development of a training institute to investigate whether leveraging youth-adult relationships in public middle schools can foster positive school climates and reduce educational inequality.